When Julia explained her latest problems with Jay (novel 1, chapter 12), Karen responded graciously. She could have said I told you so and smugly reminded Julia of her repeated warnings not to get involved with him again. Yet she didn’t. She simply sealed her lips and let Julia share her heart. Because Karen was gracious during her conversation with Julia, it caused Julia to admire and appreciate her friend. Do I consistently show kindness and courtesy to others? Do I have compassion for those who’ve made mistakes? Can I resist saying I told you so when things go like I said they would? A gracious woman is kind and courteous, extending mercy to others, showing them compassion when they’ve made mistakes. 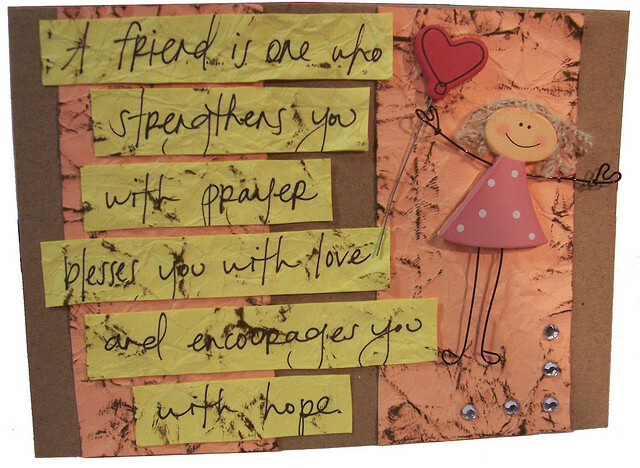 Making and keeping friends takes effort and lots of the God kind of love. But good friends are worth it! Write to the Lord about these verses, recording your thoughts on each one. Then thank God for always being gracious and merciful toward you. Ask Him to help you be a gracious woman, overlooking faults and loving other people despite their imperfections. Hopefully, true friends are doing the same for you!